Considered among the best of the 20th century American makers, Franz Kinberg was born in Serbia and studied with Lajos Kain in Zrenjanin from 1937-39. He then worked for several shops over the next decade, including Franz Schneider in Zagreb, Remenyi in Budapest, and Hofmann & Czerny in Vienna. 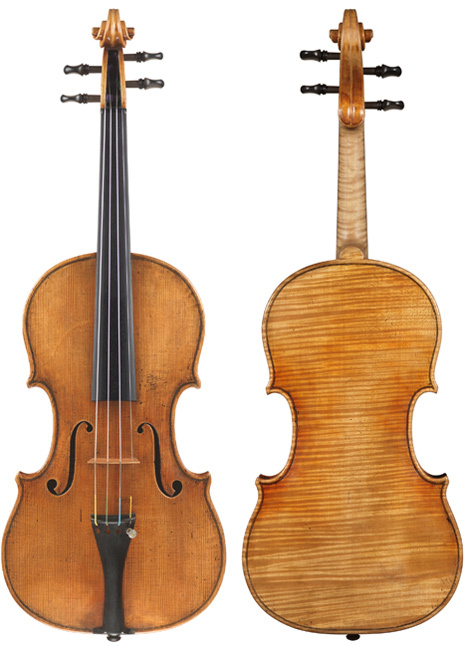 Kinberg left for the U.S. in 1949, the same year he won the Gold Medal at the International Exhibition of Contemporary Violin Making at The Hague. The maker was employed by Kagan and Gaines in Chicago until his retirement in 1982. His instruments have been owned by the distinguished concertmasters Mischa Mischako and Sidney Harth as well as members of The Philadelphia Orchestra and the Chicago, Detroit, and Pittsburgh symphonies. Kinberg violins are in demand for their superb craftsmanship, strength, broad and rich tonal palette, ease of playing, and ample power. This outstanding example has those qualities in abundance.